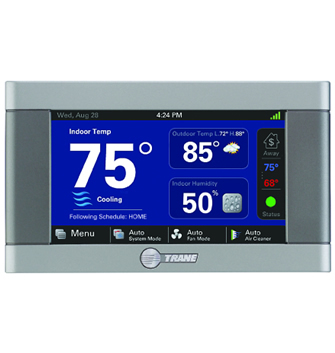 4.3” interactive color touchscreen the XL824 provides an economical option for accurate heating and cooling system control. Built-in Nexia Bridge allows remote access via smart phone, tablet or computer with NO additional monthly fees. XL824 controls can be connected to any style ducted heating and cooling system.